Outbreak of Riots – Bring Back our Status Bar Text!!! My first blog post ever on this blog [found here in Nov 03 2010] was about making your status bar icons display as text. When you have the icons displayed, you end up wasting time hovering over an icon and waiting for text to display to make sure that you are about to toggle the correct buttons like POLAR or OTRACK. People warned Autodesk to consider the consequences of taking the text option away – the seemingly simple letters that we hold dear… I did my part by explaining that since the Ribbon makes use of text by placing it next to an icon that the result is that we can quickly identify what tools are what by simply reading the text. I even showed the size comparison from 2014 which was the last release to have the ability to change between text and icons and 2016 to show that there wasn’t much size difference (shown below). 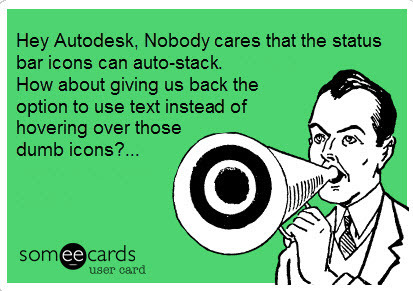 But it fell on deaf ears… and sadly, with the release of AutoCAD 2015 they took this ability away. But they “done-did-it” for the second year in a row!! and they tried to show us that they have “improved” the status bar by having it “self wrap” which had the opposite effect and made us even more mad. Which leads us to today on April 1st 2015 – there are reports of massive riots and looting around the world because people want Autodesk to give back the text option. 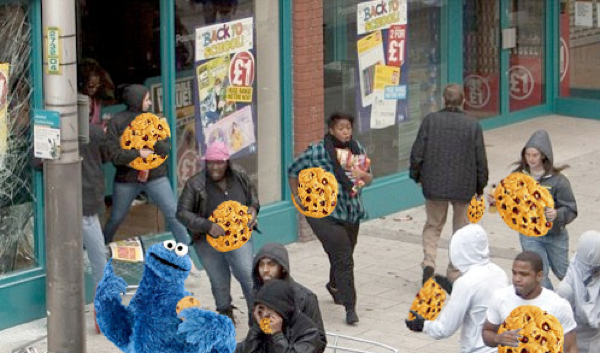 Police believe that the mastermind and instigator of these riots is shown below – a self described AutoCAD user. 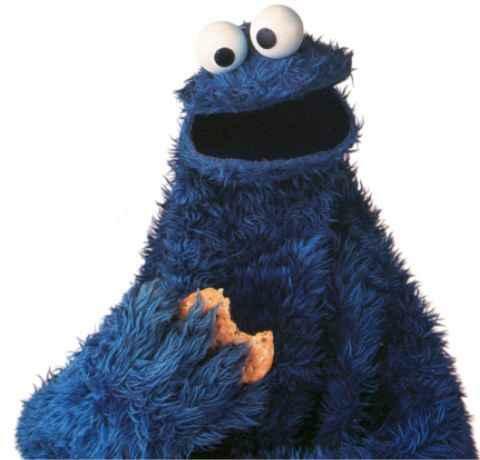 If you happen to see this individual, proceed with caution and do not approach him especially if you happen to have any cookies in your possession. He tends to go into fits of rage when he is around them for some reason. This entry was posted in April Fools. Bookmark the permalink. 2 Responses to Outbreak of Riots – Bring Back our Status Bar Text!!! Yes, yes, yes!! This is SO frustrating!